"Steve Kulls discusses the hot topics in the Bigfoot world with tonight's guest Willow Creek resident and blogger Steven Streufert." 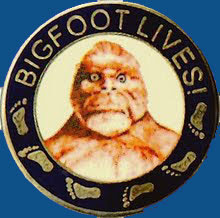 Yours truly, the Bigfoot Books blogger, will theorize about the epistemology of cryptozoological hominology, live to the known universe.... Eeek! This show streams live online, or via permanent archive, available through the link below. If you miss it live you can always listen later. that's Wednesday, this week, at 7:00 Pacific Time, 10:00 Eastern Time. Mr. Steve Kulls, the host, now residing in Albany, New York, is a long-time Bigfoot investigator. 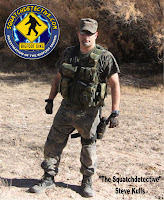 He is a former private investigator, hence his nickname, Squatch Detective. His web site, SquatchDetective.com, has some interesting material and is growing by the day. Kulls has done good work, including his devastating exposure of Tom Biscardi's Searching for Bigfoot, Inc. Business Plan and the actions surrounding the Georgia Bigfoot Body Hoax of 2008. 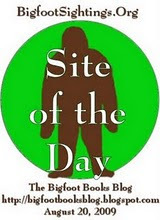 We blogged about this last week, so check it out HERE, or at... http://bigfootbooksblog.blogspot.com/2010/01/anatomy-of-bigfoot-hoax-biscardi-tells.html. You'll find the links to his report on The Hoax and Biscardi are conveniently placed there for you. To delve into it more deeply, check out Kull's other site, BISCARDI EXPOSED You won't believe how deep it goes into the mire! Check out BlogTalk Radio in general. It is a fabulous resource for Bigfoot/Sasquatch, with a whole bunch of shows covering the topic. Just search for "Bigfoot," and then refine it to "On Demand" to see all the shows that have been on recently. Our favorites, besides SquatchD, are SasquatchWatch, Campfire Shadows, Bigfoot Busters, The Grey Area, The Sasquatch Experience, Bigfoot Quest, The Bigfoot Mystery, Bigfoot TruthNLies, and then there are many, many others. It's scary--sometimes we don't even have time to listen to the Art Bell/Coast-to-Coast AM Show!!! BlogTalk is, also, a great source for just about any topic, including UFOs, Reptilian Aliens, The Illuminati, Global Conspiracy Theory, or just Cooking, or whatever floats your boat. Me no angry now, me no like cold rain, so me sleep winter in secret cave on hill behind book store. Me might come out to talk on radio show, hopefully talk angry word, make hu-man FCC very mad at me for saying all seven bad word you no say on radio. Ha! This blog copyright 2009 Steven Streufert and Bigfoot Books Intergalactic; but then, who really cares, anyway, these days?